Raw milk delivered to buying clubs in Chicago is often transported in half gallon jars packed in ice. On a warm summer night on Chicago’s northwest side, the dusk brings out a chorus of loud cicadas. It also brings out out a flock of enthusiastic raw milk drinkers. One by one, they pull up to a large corner house. They schlep their coolers on to the wooden porch and pack them with the ice cold jars of snow white liquid. Based on national percentages, an estimated 400,000 Illinoisians--and I count myself among them --pay up to $18 a gallon for this stuff. Many drive more than a hour to get it from farms and pick up points like this one. And most believe it strengthens their immune system and improves their health. But some public health officials believe just the opposite. Nationally, raw milk (or raw milk products) have been linked to more than 100 foodborne illness outbreaks over the last 17 years. And so this week, the Illinois Department of Public Health proposed new rules that could greatly restrict the distribution of unpasteurized milk produced in the state. Raw milk supporters, however, object to proposed regulations that would require farmers to invest in costly new equipment, hand over customer lists to the government upon request and abide by the same rules whether they had one cow or 1,000. This doesn’t make sense to one dad who was picking up several jars of milk for his family. He says that his children’s ear infections disappeared when his family started drinking the milk a few years ago. And he’s opposed to any new measures to restrict his access. To that end, the department enlisted Illinois Representative Dan Burke (D-23) to sponsor a bill to ban raw milk sales in Illinois earlier this year. “I was convinced they had a legitimate issue," Burke recalls. "[So]I presented the bill and then the floodgates opened." Those floodgates were thousands of phone calls to Burke and his colleagues from raw milk supporters all over the state. Burke said that in two-plus decades of politics he’d never seen an issue galvanize the public like this. And so last April, even after the bill had survived committee, he did a 180 and dropped support for his own legislation. This sudden change of heart didn’t thrill Mason and his colleagues at the Northern Illinois Public Health Consortium, which Mason leads. Indeed, federal health authorities and the American Academy of Pediatrics largely oppose the sale and distribution of raw milk--a drink that can harbor many bacteria that would be killed through pasteurization. But proponents of the drink argue that no food is risk-free and that many of bacteria in raw milk can be beneficial. In response, public health officials like Mason point to outbreaks. “There have been 104 between 1998 to 2011 that we’ve been able to keep track of and 82 percent of those have involved people under 20 years old,” he notes. These figures are accurate on a national level. But those who oppose the regulations point out that there hasn’t been a single illness outbreak connected to Illinois-produced raw milk--the milk affected by these new rules--since 1998. This lack of illness leads some to question why a cash-strapped state like Illinois would spend so much time and money on a product that is boosting the local small farm economy and hasn’t caused a problem for more than 15 years. Mason’s department says that it’s a preventive measure to avoid potential future outbreaks. “We wanted to make sure that those rules did as much as they could do to adequately control the sale of raw milk and make it easier for us to identify where there may be breaches and or diseases related to the sale of raw milk,” he said. But Illinois raw milk farmer Donna O&apos;Shaughnessy believes that the agency is acting on behalf of the U.S. Food and Drug Administration which paid for some of the rulemaking process. She also believes big industrial dairy is worried by the growing popularity of raw milk as its own product sales decline. Raw milk is currently legal for retail sale in 11 states but illegal in 17 others. The rest fall in between with policies that limit its distribution. 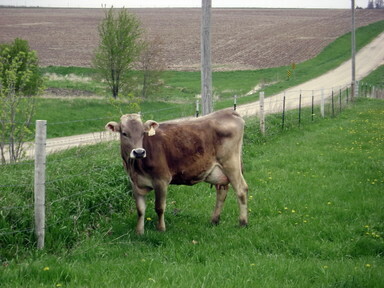 So who are these hundreds of thousands of raw milk drinkers in Illinois? So what do officials say to Illinois&apos; thousands of drinkers who claim it has improved their health and chronic conditions? "Anecdote is not something we follow," says Dr Mason of the Cook County Department of Public Health. "We like to look at the science and the science is overwhelmingly in favor of the fact that patsteurized milk is something that saves lives." While many health claims for raw milk do remain anecdotal, at least one 2011 study of 8,334 rural children in Austria, Germany and Switzerland links raw milk consumption to lower levels of asthma and allergies. The children in the same environment who drank boiled versions of the same milk did not enjoy the protective effects. O&apos;Shaugnessy agrees that raw milk comes with risks. But the Central Illinois farmer says that she doesn’t know of any customers who make the long drive to her farm or pay the exorbitant prices ($7-$18 a gallon) without reading up on what they are buying. She served as a member of the Illinois Dairy Working Group that helped draft the proposed rules last year. But she says the input of small farmers like her were largely ignored in the final process. O&apos;Shaughnessy and King of the Illinois Stewardship Alliance say that they know many farmers who say that they simply won’t comply with the rules if they are passed. Indeed, Burke says that he expects the same flood of raw milk supporters who deluged him last spring to oppose these new regulations. But this time, he may be among them. Back on the porch in Chicago, another customer is picking up his bottles of raw milk. I ask him what he’ll do if the new rules effectively dry up supplies to the city. The Illinois Department of Public Health will take comments on the proposed rules for the next 45 days. After that, the fate of Illinois’ raw milk will pour into the hands of Joint Committee on Administrative Rulemaking which will also take 45 days of comments.